You can have a chat with Amazon's voice assistant on the road without having to buy a new vehicle. Amazon's Alexa platform is no longer confined to the home: Ford, Hyundai and Volkswagen have all revealed plans to integrate the voice assistant into their vehicles. That's great if you're a die-hard Amazon customer and in the market for a new car. For the rest of us, Logitech's aftermarket ZeroTouch mounts and companion app bring the same dash-based Alexa experience but to the car you already own. The Logitech ZeroTouch app-and-dock system already offers a hands-free solution to most smartphone tasks while driving. But starting today, it comes with added support for Alexa. 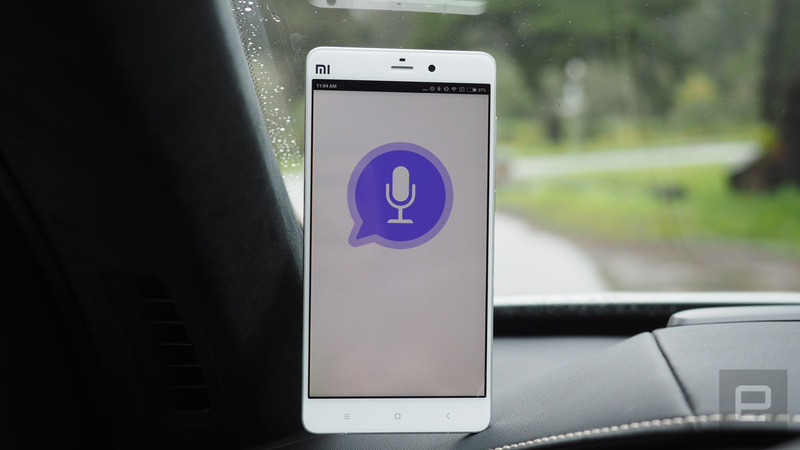 This means that in addition to controlling music, sending texts and setting destinations on the move, the voice-controlled application will listen for Alexa commands (once the feature has been activated, that is). I tried out the updated ZeroTouch system, and other than a few minor setup issues with the "flash briefing" skill (which delivers quick news hits from various sources such as NPR, Fox News and the BBC), it really did feel like using Alexa at home. There is one big difference, though, which is that ZeroTouch doesn't have a wake word. Instead, you either hold or wave your hand over your smartphone to activate it. Once the app is primed, Amazon's voice assistant responds like it does at home. Any IoT devices you own that are linked to Amazon's assistant are now available from within the car. This means you can control lights, thermometers and door locks while driving down the road, if you wish. And, of course, because this is Amazon, you can order items from the online retailer and its partners, such as Pizza Hut (gross) and Starbucks -- right from the driver's seat, if you must. What Logitech's Alexa integration won't do is tell you about the car itself. That's a feature the automakers have that the ZeroTouch doesn't. Understandably, that requires deep integration into the vehicle, so it's not something I would have expected. The voice-activated system uses the Bluetooth hardware dock like a key. 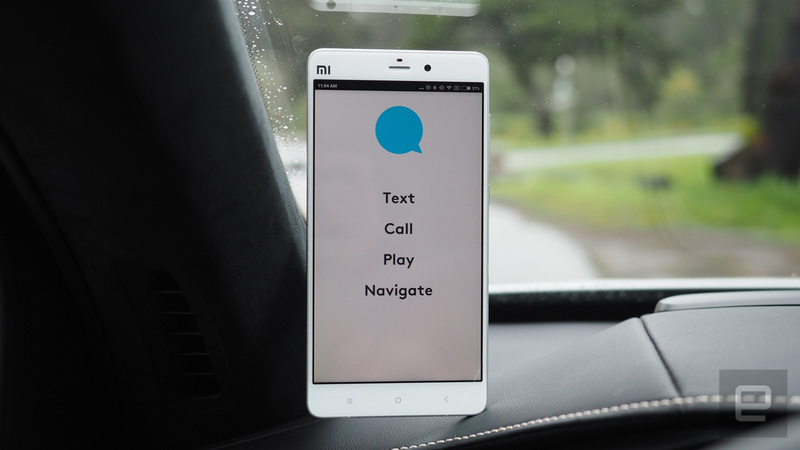 Drivers add a slim piece of metal (either via adhesive or underneath a case) to their Android phone. When they attach the phone to a magnetic dock, the app launches. It's a slick way of securing your device in the car and getting it ready for the road without forcing the driver to waste time trying to launch anything. The experience isn't without its issues, if my demo was any indication. For some reason, my flash briefing would only tell me the weather. I added an additional skill to my flash briefing, but I was still stuck listening to just the weather. On my Echo and Dot at home, meanwhile, I've had no problems hearing about the state of the world via Alexa's debrief. There's also an issue when it comes to navigation. If you try to interact with the system and Google Maps has a voice notification at the same time, it overrides what you're doing 80 percent of the time. The other 20 percent, the system seems to get confused. While it doesn't happen often during highway driving, on city streets, it can be a pain. Overall, the core ZeroTouch system and its two available mounts make in-vehicle messaging and app interactions seamless and safer, but they're pricey, at $60 for the air-vent mount and $80 for the sturdy windshield/dash mount. But now that Logitech has added Alexa support and all that entails, it's clearly better value than before. 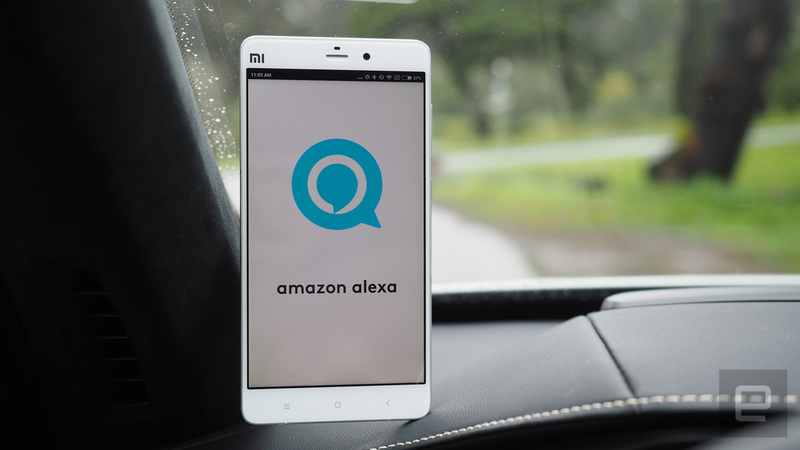 The key benefit of course is that ZeroTouch brings Alexa to any car in an incredibly simple way. It might not feel exactly like the home experience without the familiar wake word, but it's close enough. Plus, it's cheaper than buying a new car -- and for Amazon users, it brings just enough Alexa to the driver's seat to make it worth the price tag. And it's available right now, which isn't something we can say about many automakers' built-in offerings. The provider revealed 20 more cities which will get its mobile 5G network this year. Apparently its benefits don't outweigh its technical and legal burdens.